Scoop….! Tata Kite on test….!! 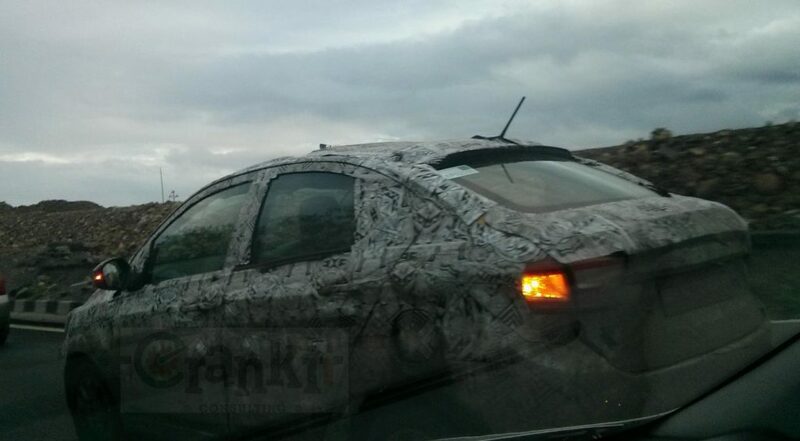 The compact sedan spotted during road test! See how Tata's new attraction is like!! Tata Kite- the most coveted sub-4 meter compact sedan from Tata Motors was caught on the camera of one of Crankit's ardent followers Vikram! He managed to capture a few glimpses of this gorgeous near Mahabaleshwar. After the successful launch of Tata Tiago, Tata Motors now aims even higher with this compact sedan. 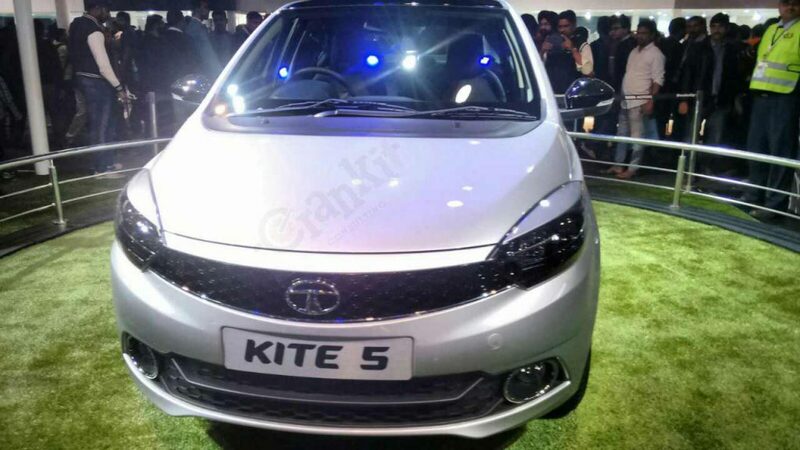 Tata kite was introduced earlier this year at Delhi Auto Expo. The vehicle is now undergoing rigorous testing to ensure its market readiness. Most likely, Kite will be powered by the same engines i.e. 1.2 lit Petrol and 1.0 lit Diesel that perform duty on Tata Tiago. Manufacturer is planning to introduce both the petrol and diesel versions of Kite. Initially, these versions will be equipped with five speed manual transmission and AMT will follow soon. With whom will Tata Kite compete? The segment of compact sedans has recently been very popular in the country and hence, almost every manufacturer is concentrating on it now. So, there is no doubt that Kite has to perform outstandingly in order to gain a major market share. Tata Kite will compete with the recently launched Volkswagen Ameo, Maruti Suzuki DZire, Hyundai Xcent, Ford Figo Aspire and Honda Amaze. We believe that Kite will be launched in the market during the coming festive season near Diwali. Realistically, September or October seems to be the most suitable time for the introduction of this vehicle. According to our sources, Tata Motors is planning to introduce this sedan at an exceptionally low starting price of Rs. 4 lakhs (ex-showroom) which will be a significant advantage over rivals. In all, the price spectrum will be from 4 lakhs to 7 lakhs considering both the petrol and diesel versions. Home » Auto News » Scoop….! Tata Kite on test….! !